An operating system is a system of software solutions responsible for the control and management of devices and computer components as well as the basic system operations. There are many different OS available on the market today. Some of them are more popular and famous like Windows while others are less known and used by a limited number of people like Linux. Of course, as we all know, popularity has nothing to do with some system’s performance. According to many experts, Linux is superior to any other type of operating system available today and there is more than one good reason for that. In this article we will highlight the most important reasons why Linux is better than any other OS. If you want to teach yourself Linux then take a look at eBook library. Unlike Windows and other OS, Linux is completely free system that can be used for free without any legal consequences. In case you are asking how this is possible you need to learn more about Linux. While Windows is an operating system designed by a company for profit, Linux was developed by a group of enthusiasts and volunteers that are still working on its progress and improvement. These volunteers believe that such basic software solution should be free for everyone. This is another good reason why people opt for Linux. Linux OS provides greater liberty when it comes to the use of this system and adjusting the system to your personal needs. This is very important for advanced and professional users who can benefit from this system because they can adjust it exactly to their requirements and speed up their work process. Users can adjust the way this system looks, how it processes queries and many other things. Most versions have open code, so you can make experiments too. Linux is virus and malware resistant. You don’t have to spend time looking for the perfect antivirus application or downloading the latest antivirus updates. As a matter of fact, you don’t have to worry about the websites you are visiting. Linux is resistant to the vast majority of modern computer viruses and this is a great advantage especially for beginner users. But, how can Linux be resistant to viruses while other popular systems like Windows not? Well, the fact is that this popularity has made hackers and other individuals and organizations creating these viruses to be focused on Windows. Their main goal is to make greater damage and spread their viruses fast and easy. Many people think that Linux is something like DOS, but that’s not true. Linux comes with the best visual effects you have ever seen. The performance of Windows 10 in terms of visual effects is much lower compared to the latest Linux. Another great advantage is the fact that you can adjust the system, so you can use only the effects that you actually need. This means that your CPU won’t be affected by this performance. 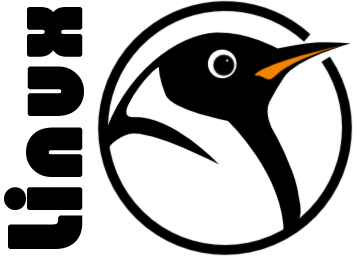 Unlike Windows, which usually launches new versions in two to three years or more, there are literally dozens of Linux versions designed and adjusted to specific user needs. The good news is that if you are not satisfied with its performance you can always uninstall the existing version and install another one – free of cost and in a short period of time. The fast advance of technology has changed the future of operating system. Mobile operating systems are getting more and more popular which is quite logical since the number of mobile device users is growing. Only a small number of people know that the most popular mobile OS – Android is based on Linux. However, it is worth mentioning that Android is not the only mobile OS based on Linux and according to many experts Linux kernel has the capability to provide many new and more efficient mobile OS. Our beloved Ubuntu Touch OS is currently available to limited devices which is in constant development and many Linux users wants it to beat Android too (if I am not wrong). Linux mobile OS is changing the world. Linux superiority is obvious for IT experts. Linux is an operating system that provides users the necessary freedom, no matter if we are talking about beginner, advanced or professional users. There are many people who will confirm that Linux is the most exciting and interesting OS on the market with a strong community of users unlike Windows where people can use what they have paid for. Another interesting fact is that the majority of the servers are based on Linux and this is something that speaks a lot about its quality. Indeed we missed a lot of things, and we left it on you. You can tell us what's in your mind.